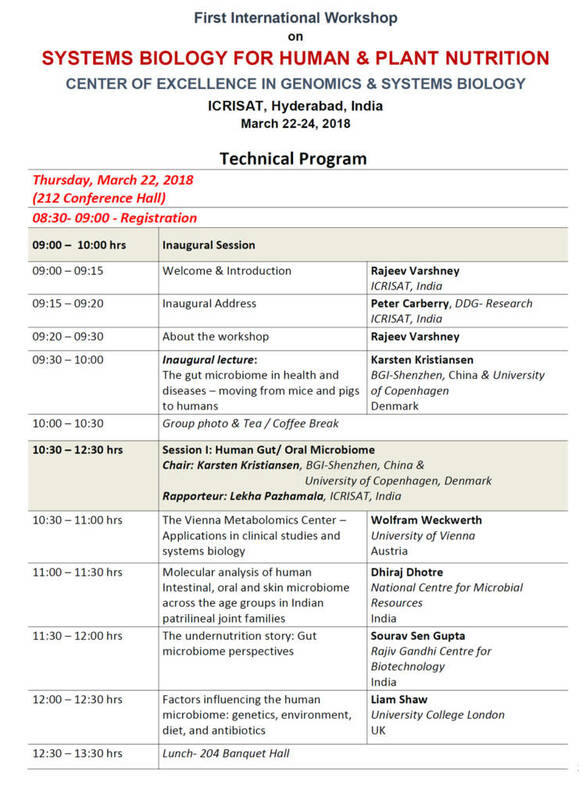 ‘First International Workshop on Systems Biology for Human and Plant Nutrition’ was organized at ICRISAT Hqs, Patancheru, India during March 22-24, 2018. The workshop was attended by 53 participants including 24 non-ICRISAT participants from 19 research institutes of 12 countries including Australia, Austria, Bangladesh, China, Denmark, Ghana, India, Mali, Senegal, The Gambia, UK and USA. 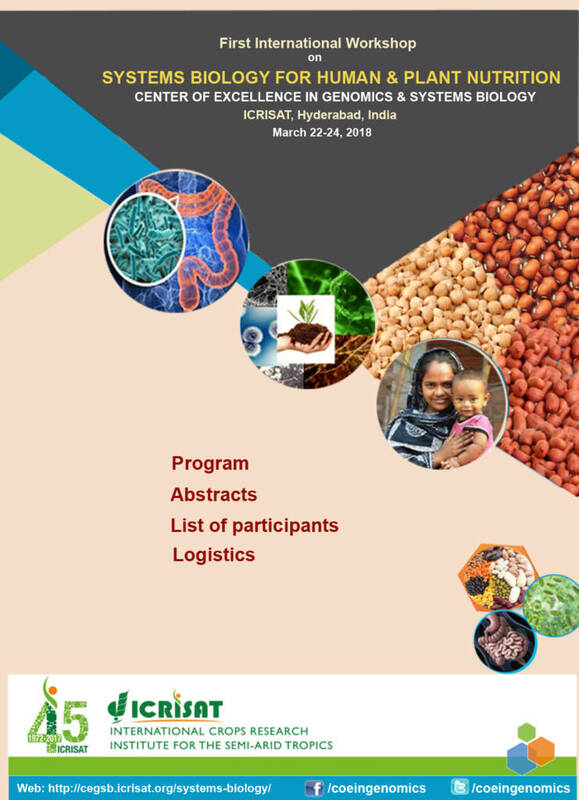 Several workshop delegates are pioneer and authorities in their fields and represent medical, human nutrition, soil science, soil/plant microbes research institutes. 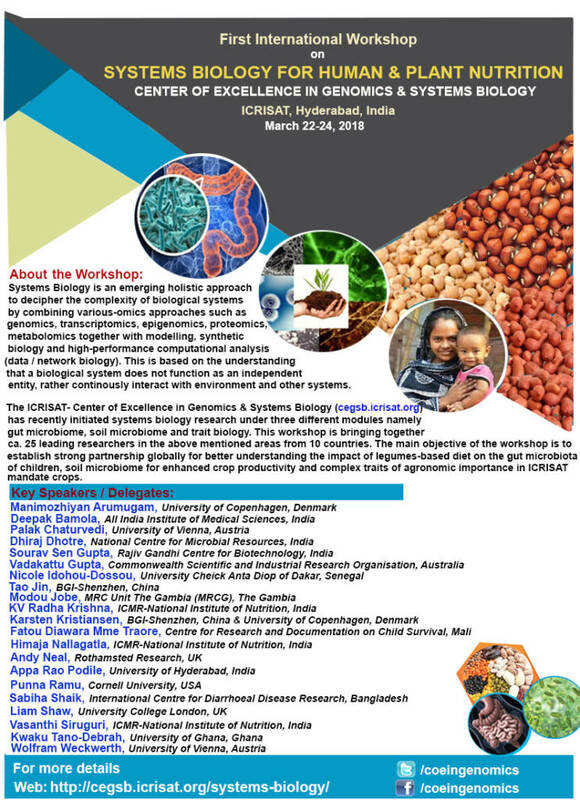 The workshop had good deliberations around how to bring in existing expertise from across the globe working in the areas of Gut Microbiome, Soil Microbiome and Trait biology to initiate new collaboration and partnerships and move ahead for Systems Biology research at ICRISAT.